When your collections get too big you need a compact archive storage solution. Learn more how Systems and Space can help with X-Tend High-Bay Shelving. More space can result in happier and more productive employees. More space creates protection for the items that are important to your organization. More space adds to your bottom line. Libraries, off-site book depositories, archival record centers, museums, and even evidence storage centers are having major issues with trying to squeeze too many book collections and records into a decreasing amount of storage space. For these larger collections, an off-site facility may be your only option. But with X-Tend High Bay Shelving systems, a big facility will not be necessary. 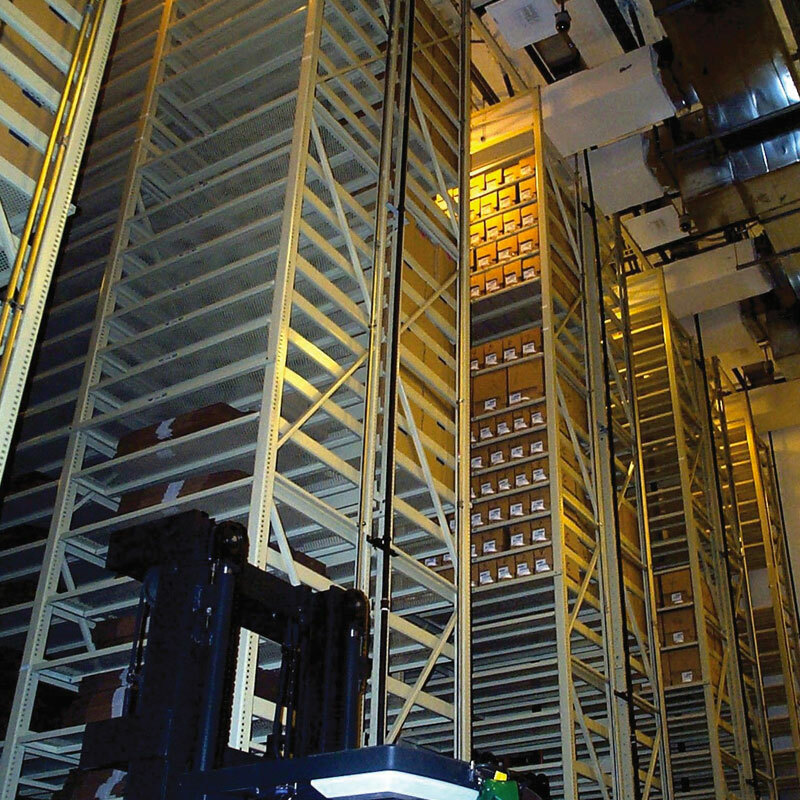 Designed specifically to provide off-site shelving solutions to compact archive storage areas, X-Tend High Bay Shelving systems provide optimal space efficiency while also providing increased protection and accessibility. The system maximizes the buildings’ space to full capacity by allowing storage to extend from floor to ceiling. 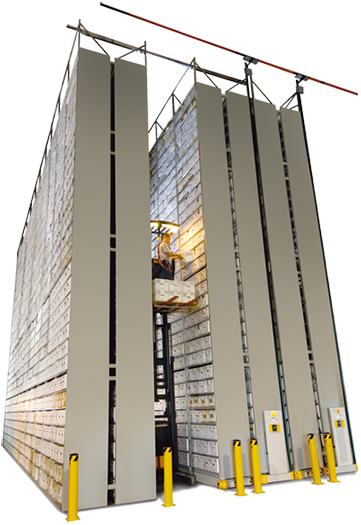 X-tend high bay shelving can be equipped with high-density mobile carriages, which offers the same storage capacity in less space, or more capacity in the same space. We’ve worked with numerous tech companies in the San Francisco Bay area on office shelving systems that can help foster innovation and high productivity. To find out more about how we can help your business.